I am looking to change careers and would appreciate some advice. I have an undergraduate degree in English Literature and a JD. Needless to say, these were not the best decisions and I would like to change my career. I have always enjoyed math and science, and after months of research and self study, I have decided that I would like to pursue statistics. My question is basically this : would it be better to get another Bach. Degree in statistics or should I take calculus 1-3, linear algebra, probably and statistics and some computer science courses at a community college then try to get into a grad program instead? I am afraid that without the bachelors degree I will not have the required knowledge for a masters even after taking the courses at my local c.c. However, another bachelors degree may be a worthless waste of time. Please share your thoughts. Also, sorry if this is not the right place for this question. 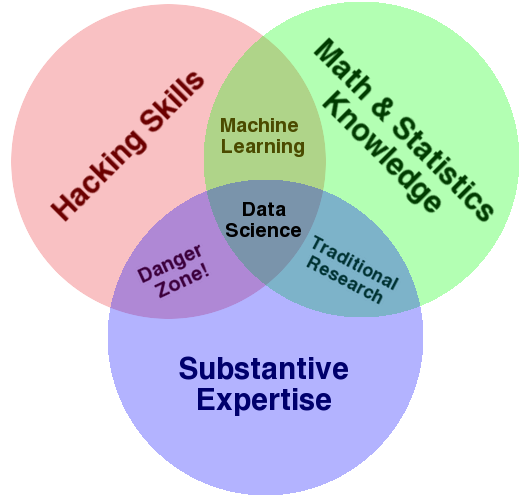 Data science is a multi discipline subject. In addition to math you need some programming skills and ideally - understanding of the domain where you are going to solve problems. Statistics + Computer Science = Data Science? Starting career as Data Scientist, is Software Engineering experience required? Graduate degrees in data science or business analytics provide a fast-track toward a job these days, even more so than a traditional statistics degree. Check out the graduate programs and what they require in terms of prerequisites. Some may not even require Calculus sequence, only a good foundation of stat and linear algebra. A bachelor's degree is necessarily going to waste your days with core courses like British Literature (no offense to english majors, but given your goals that time would be wasted). Not the answer you're looking for? Browse other questions tagged education career or ask your own question. Books about the “Science” in Data Science? Is Data Science the Same as Data Mining? Data science Ph.D. program, what do you think? Is Data Science just a trend or is a long term concept? Which is better for Data Science, a double major in Math & CS or Physics & CS?